"I don't know. I can feel a vibration. It has to be her." "Follow it. You're further than last time." "It's like she's everywhere but I can't find her. I know she's there but... it's too much." The three dryads sat in a circle as they had done for the past three months, hoping they could make contact. They did it alone, in a small grove where the branches of the trees curved about them to create a quiet, interior space apart from the massive granite and brick buildings that sprawled about them like an ancient, fallen golem. 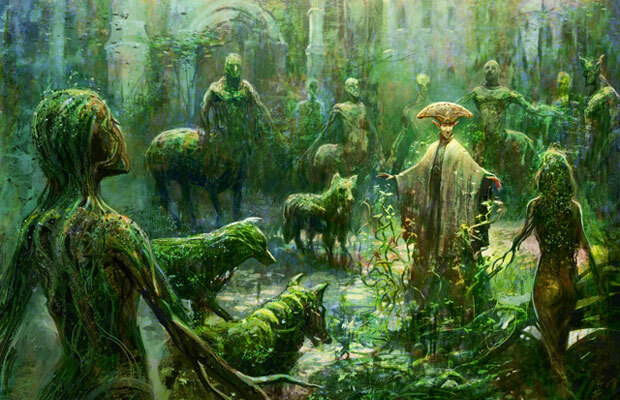 They awoke from their trance and allowed the world to come back into focus—the wind rustling through the leaves; the short song of a bird; and the constant, far-away drone of Ravnica and its inhabitants moving like some endless ocean. They were an inseparable trio but far from identical. Oba was wild and full of life, her hair tangled with leaves and vines, her eyes shifting with her moods—from green like flecks of emerald and jade to smoky brown. Ses, unlike her sister, was ordered in manner and speech; her hair was held in place by a headpiece made of goldenwood, and fell to her shoulders in a cascade of auburn. Cim was both the eldest and the bridge between the other two sisters; even though she was a small, slight dryad, a power existed within her that everyone in the Conclave could feel. Cim could find paths where none could be seen and always found a way to balance the needs of one with the other. Cim was the first to speak. "I was close. Really close this time, but it's so confusing. She's there in that giant web, I know it. It's just like she can't focus... or I can't focus." Cim ran her slender fingers through close-cropped hair and then pulled a green hood over her head to close off the outside world. "We saw it too..." Oba said, looking at her other sister Ses, who finished her sentence. "...but it's too big." They fell back into the grass, letting the coolness of it bring them further out of trance. Cim stared at the skyline, her chin resting on her knees. "We've got to reach her," Cim said. "Or she'll leave us all." "It's getting dangerous," Ses said. "It was harder to get you back this time," Oba echoed. "All of Selesnya are counting on us and we can't fail them." Cim furrowed her brows. "We can't let the guild dissolve. We can't give up on her." "What if she doesn't want to be brought back, Cim?" Ses asked. "Are any of us strong enough to go against her will?" "What if it's a test?" Oba looked at her sisters. "Maybe she wants something from us." After a moment of silence, an invisible understanding passed between the sisters. Cim got up. "Suniel will want to know what we saw." Suniel sat among the high priests of Selesnya and could see it written on their faces. The empathic link of the Worldsoul exposed in its subtle, nonverbal way a truth they could not turn away from: Mat'Selesnya was inexorably fading like the light of a dying candle. After the initial grim reports of more lost members, withering belief, and factional rumblings were listened to by the members, the elf priest Molander slowly stood up and addressed the assembly. He looked haggard for an elf, Suniel thought, but then again, Molander had always looked haggard. "We have to think the unthinkable," Molander said in his orderly, matter-of-fact way. "As much as we would like to continue wishing for some random miracle to fall from the skies, we have to prepare. Selesnya must go on with or without our parun, Mat'Selesnya." Molander waited for a moment for his words to sink in while an assistant brought an ornate scroll to the table. "Since the attack on Vitu-Ghazi, I have begun work on a way to keep the guild alive by teaching our precepts at an academy. A place where the structure and ethos of our guild can be taught, refined and carried out by future members of our—"
"And now it comes out!" Troslon rose and planted his boulder-like fists on the table. "You can't wait to impose your little grid of rules over us all." He turned to address the others. 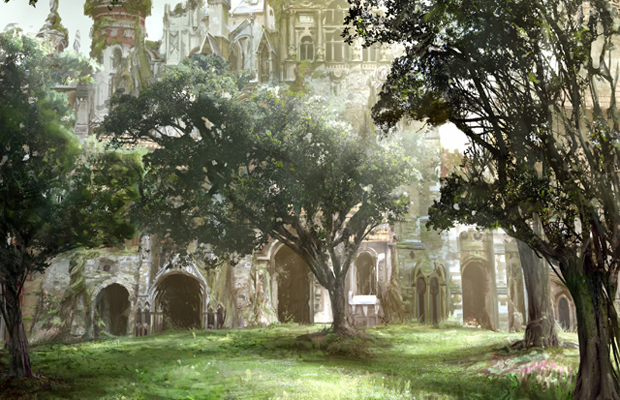 "Where there is life, there is Selesnya, and that is all anyone in this guild needs to know. You want rules and academies, go to the Azorius." "Not rules, Troslon. Order." Molander replied in the tone of one who has had this same argument with the same person hundreds of times. "Our guild is breaking apart. Members are leaving. Even our most devoted are losing their connection to the Worldsoul. We need something to build around. Something tangible." "I'll show you tangible," Troslon rumbled, balling up a massive fist. "Spoken like a Gruul," Molander shot back. "You'd have us all living in rubble within a year." "Gentlemen," Alcarus said, just loud enough to pull their attention from each other. "If you have forgotten, not long ago they dragged Rakdos through the streets like a butchered indrik and threw him into a bloody hellpit. No one knows if he's dead or alive. Why is it those maniacs can figure it out and we sit here shooting slurs at each other?" "If you think that running about like a pack of wild dogs while cannibalizing one another is 'figuring it out,'" Sadruna said, "then by all means, use them as a model of success." Her face held a look that emphasized her point. "We are nothing like those murderers." Suniel watched as the old arguments inevitably began to arise. 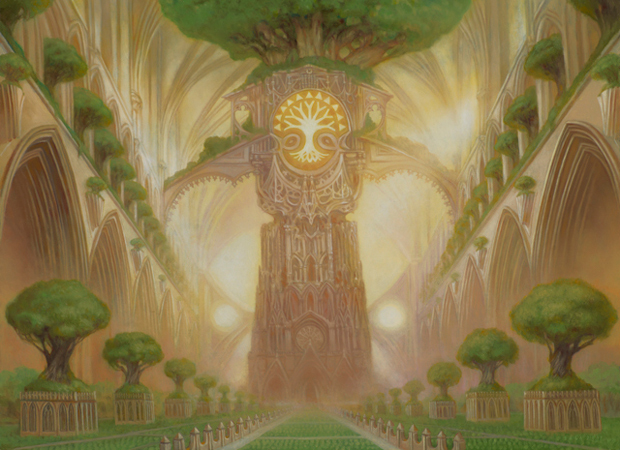 The high council began to break down into quarreling factions along well-worn lines of dissent—those who were for returning to nature, allowing the trees to grow wild and worshiping the ancient rites of life, and those who were for order, making sure that upholding the structure of the guild was made paramount. 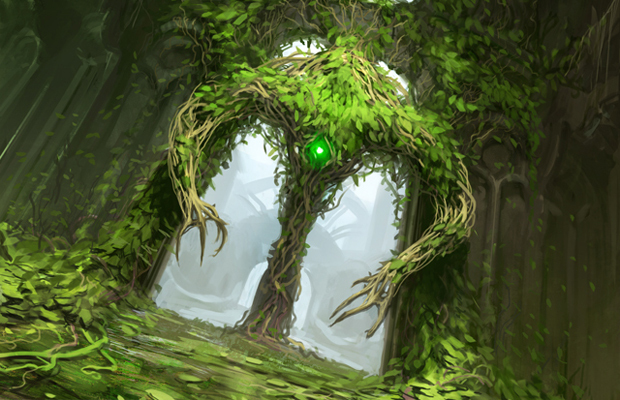 As the discussion devolved into the emotionally charged noise of confusion and righteousness, Suniel sighed and looked out the window at a wooded hill in the distance surrounded by peaks and spires—a small, insignificant place where three young dryads sought to make contact with one of the most ancient beings on Ravnica. Suniel's house was a sculptural masterpiece. Amid the angular bricks and hard edges of Ravnican architecture, the sensuous curves and organic flow of Suniel's home made it seem like something from another world. Suniel had formed his house out of several nearby cedars, bending and calling their material to grow in particular ways pleasing to the eye and to the hand. It was said that Suniel's home was a visual representation of the Lattice of the Worldsoul—the empathic energy that connected all Selesnya—but the woodshaper humbly maintained that he only followed the silent guidance of Mat'Selesnya when creating his works. Cim sat on a comfortable chair big enough to hold her, Oba, and Ses. The three dryads looked pale but resolute as they sipped tea made from wildwire and pallis root. 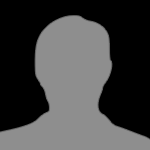 "I was close to her, Suniel. I could feel her in there, like she's trapped within web, but I can't seem to get close enough to touch it. I feel like I'm diving for shells and I run out of air." "We can't hold her in there long enough,"Oba said over her cup of tea. "The Lattice is too far away. We don't have the energy to get her there." "You need more mana," Suniel said, pensively pulling on his beard and looking out at the carefully sculpted gardens that surrounded his home. "That's all there is to it. There has to be a way." After a silence, Ses asked, "Why won't she come back?" Suniel turned and sat down. "It could be many things, Ses. She could be lost. She could be dying, although I highly doubt that. Perhaps it is an ebb and flow cycle that we are too short-lived to understand. My own feeling is that she wants to be there and she's waiting for us." "A test!" Oba piped in. "That's what I thought." She sat back in the chair. "Waiting?" Ses looked puzzled. "Waiting for what?" "I don't know, but I too feel like it is a test for our guild." Oba smiled and elbowed her sister while Suniel continued. "Chaos is reigning on Ravnica. The guilds are in disarray. Some have collapsed, and our own guild is fracturing over... stupidity. If only we could truly come together as our parun has instructed us. If only we could harness the power that is all around us, but without her leadership, we are breaking apart into separate visions of what Selesnya is." Suniel went deep into thought and Cim watched him as her sisters nodded off. She saw him pick up a piece of wood and begin to imbue it with mana, molding it as a potter would a piece of clay. After an hour of this, and with even Cim's eyes drifting shut, Suniel finally looked up. "I have an idea," he said, holding up his piece of wood before Cim's nose. "The key to being a woodshaper is allowing the lines to blur between you and what you are creating. As I am sculpting, the wood and my hands become blended together so there is no point where the wood ends and where my hands begin. When that happens, I am actually drawing power from the lifeforce of the wood and using that to help me shape it. If I connected you to a tree in this way, you could draw power from it and use that power to help you move deeper and touch the Lattice. There would be no risk, flesh and wood are not that dissimilar." "Sounds like fun," Oba said, wide awake. Early in the morning, before the sun could even be seen above the towering buildings, Suniel led the sisters through a series of winding streets and alleys that finally led to a cobblestone path before a wood of oaks. They walked into the woods and after a while felt as if there were no buildings around them. Cim imagined they were surrounded by miles upon miles of forests. Soon, they arrived at a circle of particularly old and gnarled oak trees. They stopped and sat beneath the canopy as Suniel prepared himself. After a moment, he nodded at Cim. "We will do our best," Cim replied. After incanting an ancient spell known only to the dryads of the Conclave, Cim, Ses, and Oba entered the trance. Once they became grounded in it they went deeper and saw the Lattice spread before them. "We're ready. Bind us to it." Cim spoke wordlessly, hoping Suniel could sense them empathically through the Worldsoul. Cim could feel Oba and Ses around her like ripples in water. She could feel their excitement; apprehension; and, above all, hope. Whatever happened, they were together. It was all that mattered. Then Suniel's magic flowed into them. As he bound the roots of the trees to them, Cim could feel the life pour into her being. As if in response, strands of the Lattice reached out and began to weave through them like glowing thread. At first there was a pleasant tingle as the root-like strands melded into their skin, but Cim began to feel a small seed of panic as more threads interwove and began pulling them closer to the Lattice. She could feel its power and a sudden sense of suffocation rushed up within her. A primal part of her brain struggled blindly to break free of its web. Then in a wave, millions of tendrils streamed into Cim and flooded her consciousness with an ocean of energy. In an act of desperation she reached out for her sisters, hoping to grab on to something solid in the roaring torrent. Somehow she found them, their presences vague and blurred within the myriad network of fibers and light. She could feel them, their memories, thoughts, and emotions. They clung to each other as the storm of energy blew through them. After a timeless moment, the vibrations slowed and harmonized. She looked around from within the web of the Lattice, feeling its pulsating thrum. Their connection was complete. And then, in a voice as clear as a crystal bell, Mat'Selesnya spoke. "You have delved deep little seed. I wonder if you have the strength to bear the fruit of the message I have to give you?" The voice was like a great bell, but only a web of light pulsed before them. "Yes, Great Mother, I will bear any burden for you," Cim said into the Lattice. "For too long I slept within the Great Tree, speaking without words to faraway ears. Ambition of the rootless ones proved too powerful. For my seedlings to survive we must grow an army capable of stopping such ambitions. Even those of the scheming dragon." "I will root you to the Lattice. As a tree grows from a seed so will you pull armies from the source of all life. You will populate Selesnya with a sacred host willing to perish so that the greater good may thrive." "All life returns to the Lattice. Do not covet your own particular life as the ghost dealers would covet a purse of coins. Do not hold back in your sacrifice. Give freely to the whole and spread this message far and wide." 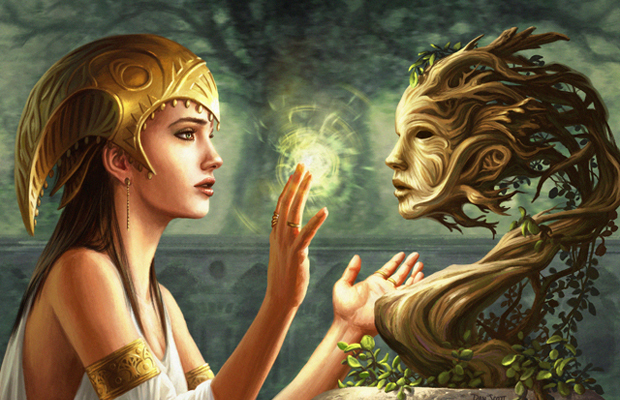 "I will now complete the woodshaper's work and bond you with all the trees of Ravnica. Their roots will be the new power of Selesnya. But be warned, this is a door through which the three of you can never return. Do you understand?" Cim looked at her sisters. "We understand, Great Mother." Under the oaks, Suniel sat with the three sisters. They were cradled in the base of the great tree, its roots bound to their flesh. He could feel the distant pulse of the Worldsoul, some feeling he couldn't quite put his finger on. But he knew, somehow, that the dryads had made contact with Mat'Selesnya. A great excitement washed over him and he scanned the faces of the sisters for any sign of them returning from their trance. The instant they awoke, he would separate them from the roots of the ancient oak, go straight to the Conclave for an emergency session, and hopefully tell the assembly the good news of the parun's return. As Suniel imagined the restoration of Selesnya, Cim gasped and her eyes snapped open. As he began to summon the mana in order to release them, Cim grasped his arm. "No need, woodshaper. It is done." Cim choked out the words. "We are one." Like a ball of writhing snakes, the roots began to cocoon and absorb the dryads, their small forms quickly pulled toward the trunks. Suniel struggled to pull them free but in spite of his magic, his attempts were futile. He could only claw at the glowing snarl of limbs and roots, and watch helplessly as the three sisters disappeared into the oaks. In the great hall within Vitu-Ghazi, the high priests and dignitaries of Selesnya were finally gathered. 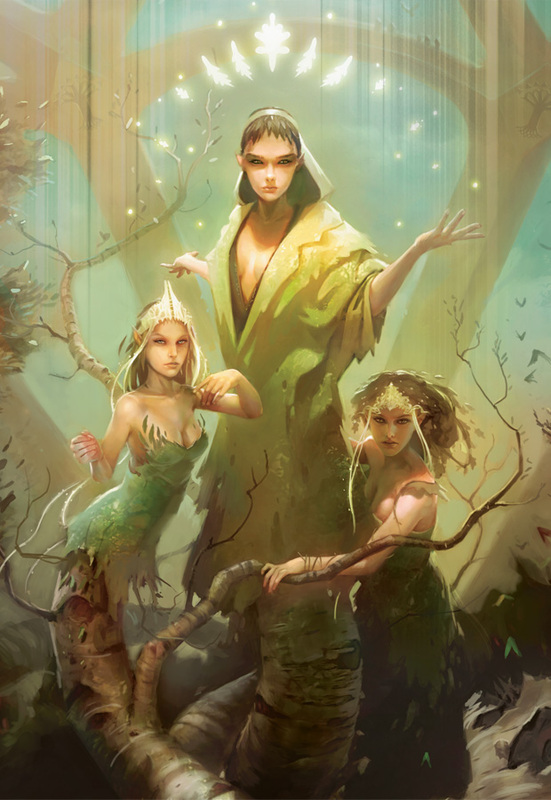 There, grown from the living wood of the World Tree, were the three dryads. Earlier that day they had magically materialized before a stunned crowd, sending a pulse throughout the Worldsoul to gather. No one in the guild had felt such a surge for a long time and hurried to the Conclave in great hope. Little did they know that they would gaze upon their new guildmaster for the first time. When Suniel arrived, he recognized Cim, the central figure of the three, but as soon as she spoke, he realized the Cim he knew was no more. "I am Trostani. As a demonstration of the founding principle and power of our guild, we have gone beyond our selves and have become one being. We are the Great Concourse between Mat'Selesnya and all who follow her will. We have come from the heart of the Lattice to alter the course of Selesnya forever. A new age of glorious growth awaits our guild."